It’s 40 below and snowing. I’m huddled next to a wood-burning stove inside an old schoolhouse in Eagle, Alaska, a small village in the bush with a population of about 200 to 300 – depending on the season. It’s a strange place to find myself, a reporter from Arkansas chasing sled dogs as they race across Alaska and Canada. Which is why I’m even more surprised to run into a fellow Arkansan — and his 14 Alaska huskies. Allen Moore, sometimes known as the Southern Gentleman of Mushing is an elite sled dog runner, who’s path from small-town Arkansas to mushing fame surprises even him. “It does not make sense, a redneck from Arkansas coming here and runnin’ dogs.” Moore said. Moore grew up in Arkansas’ northeast corner in a small town called Manila. He was always active and loved being outside. Most of all, he loved animals. Moore studied Wildlife management at Arkansas State University and eventually went on to work for the U S Fish and Wildlife Service, tagging ducks and counting deer. One thing More didn’t like was the Arkansas heat. So, Moore sold almost everything he owned and loaded the rest into his truck along with his two young daughters, Bridgett and Jennifer, and he drove to the coldest place he knew – Alaska. Almost immediately, Moore felt the allure of a sled and a dog team. “It is addictive. I wish everyone could experience it,” Moore said. Moore started competing in sprints, working his way up to 100, 300 and finally – 1,000 mile distances. Moore met his wife, Ally Zirkle, and they started work building houses and then selling them, using the meager profits to run dogs all winter long. Zirkle, an experienced musher herself with multiple 2nd place Iditarod finishes, won a smaller race – the Yukon Quest. Zirkle built a house herself with the winnings. They started a kennel – SP Kennel – to grow their passion for mushing. After a few more racing successes, sponsorships started rolling in, allowing Moore to pursue mushing full time. For Moore, mushing combines many of his favorite things – a passion for the outdoors, curiosity about fitness, and a love of animals. 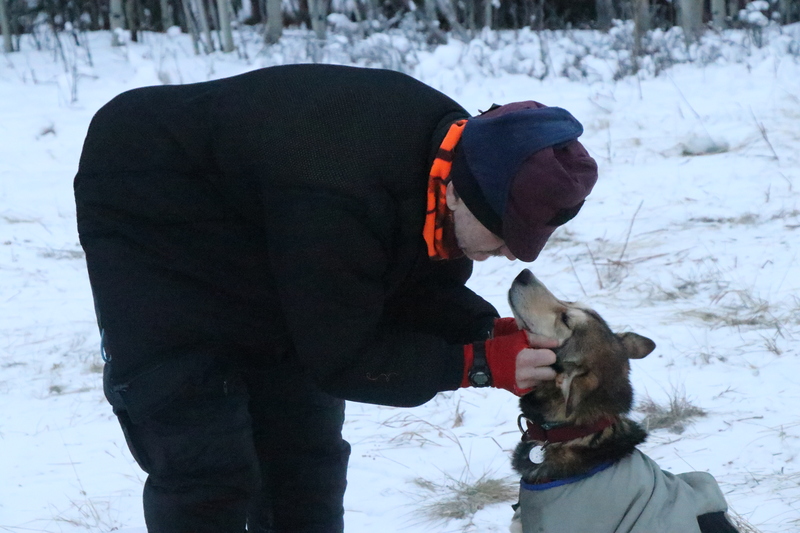 There’s no relationship quite like that between a musher and their team – even Moore, who’s been running dogs for 20 plus years, struggles to describe it. It’s this relationship, this passion for canine companionship that’s fueled much of Moore’s success. It’s not just surprising to find an Arkansan on the back of a dog sled… Moore is really good at it. 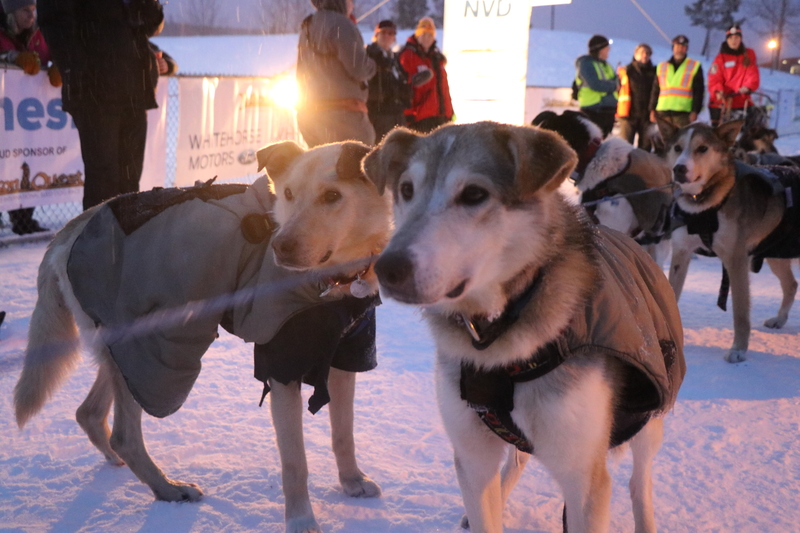 Aside from several successful Iditarod runs, he has won the rugged Yukon Quest three times. He and his wife now have a kennel of almost 40 dogs. For Moore’s part – he just glad to be enjoying the cooler weather.